Checking in on those resolutions - how are we doing?! Finding healthier outlets for all my anxiety has been a top priority for me. I LOVE my workouts, but in the past year, it's the nutrition that was bringing me on down - queso become my love language. Well, really anything Tex-Mex was at the top of my stress-bustin' list, and it was time to quit the queso. Have I fallen off the resolution train? Of course, I am human. But, I can definitely say I'm learning better ways to ease the anxiety. From those beloved sweat sessions to our weekly meal plans, things have improved from my daily indulgences in the past. Thanks to Redefined Wellness and these must-haves that honestly appear on the daily. And, if I have essentials that make my resolutions happen, I want to share them with you. Take a look and see for yourself - from what I wear to where I go - it's all here. And if you read to the end, you can find THE BEST SMOOTHIE RECIPE that I have every single day. All the nutrients are there to help the busy mama get her groove back. If you follow me on Instagram, I talk often about Orangetheory Fitness. My husband calls it my "Orange Therapy" because that's exactly what it is for me. When I was lucky enough to try a free class for this post, I was HOOKED. The challenge. The people. The strength. Go find a studio near you, and report back. I am doing a transition challenge with them starting January 29th, and I am ready. Come join me! After each class, you get a detailed report emailed to you - it contains your final calorie count and splat point total. These results are exactly why I do OT. I love seeing how far I can push myself each class. You aim for 12 splat points per class - 12 or more means you will get an awesome after burn for up to 24-48 hours. Yes, please! 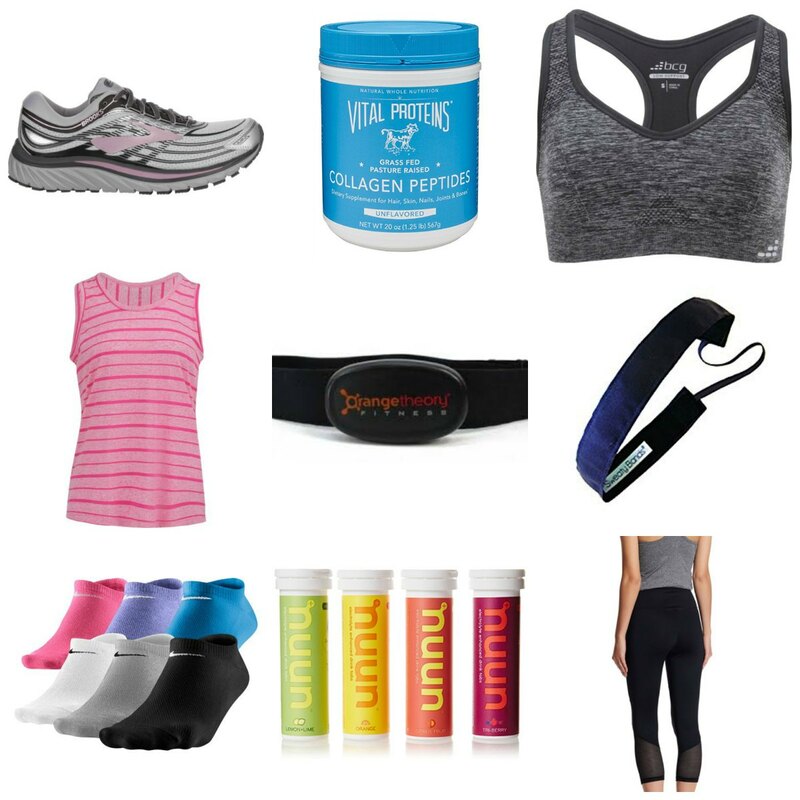 From my running shoes to my favorite sports bra, I watch the budget and do not spend a ton. This sports bra has tremendous support for the long runs at OT. I also love a good, loose tank top - I own two of these! I have stocked up on some Zella leggings that are my absolute FAVORITE. Can I just say high-waisted? They smooth the mom pooch and do not roll down when working out. They are perfect for rest day lounging, too. 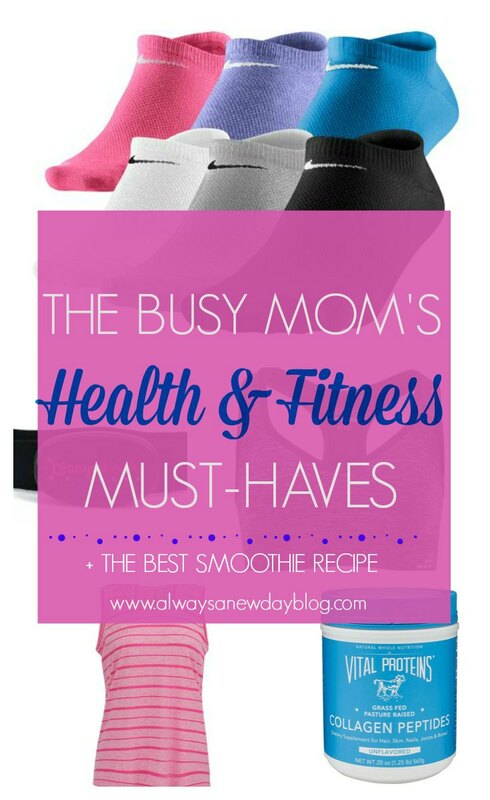 The no-slip socks and Sweaty Band headband are genius as well. I've had to stop mid-row at OT to pull up socks or get hair out of my face, and these helped stop the madness. Since I started my health goals, I've found supplements that help my overall health. I add the collagen peptides to my smoothies and toss a Nuun tablet into my water after a sweat session. I love how they flavor the water because is it just me or does drinking water get boring? These little gems spice up your H2O. Mix all ingredient above in a blender and enjoy! Add ice cubes if you like that texture. From my favorite smoothie recipe above to all the goodies that keep my health goals going, I hope you find something that boosts those healthy resolutions. Get to shopping for any of these essentials, and let me know what you think! Feel free to comment or reach out with your health tips or any questions, too! What are your must-haves for a healthy 2018? This post contains Amazon affiliate links. If you click and make a purchase, I may receive a commission (at no cost to you). Thanks for supporting Always A New Day! You can read my full disclosure on the sidebar. They are the best leggings!! I recently added fruit infused water to my daily routine and it has helped me drink more water during the day. I have heard some great thongs about Orange Theory I ay have to check them out soon. The smoothie looks delicious. I've really been wanting to try collagen. I think I'm going to have to since I keep seeing it everywhere. Lol. Exactly why I tried it lol - kept seeing it all over! Highly recommend! 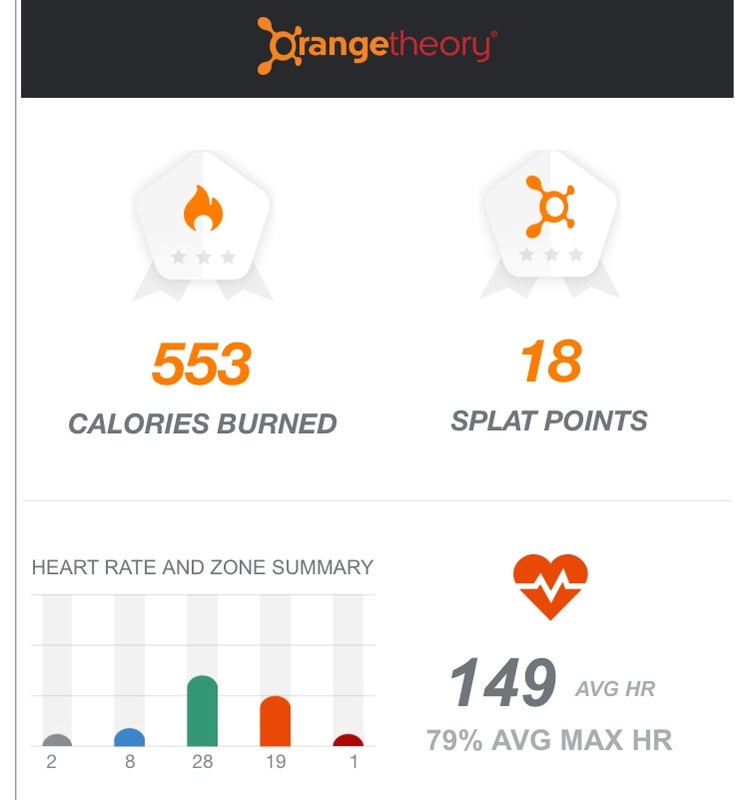 I just tried out Orange Theory this week and I loveloveLOVED it!!! Yay!! It's the BEST. Hard yet makes you feel so strong! I agree! I need to prepare those snacks or I'll eat all the bad ones :) Thank you! I ran across your blog and enjoyed readying your post. I need more smoothies in my life. lol! Thanks so much!! Smoothies are my jam - enjoy!! This really is my very first time i visit here. I came across so many entertaining stuff in your blog, especially its discussion. From the tons of comments in your articles, I suppose I am not alone having most of the leisure here! Maintain the superb work.